Spectators at the recent 100th Anniversary of the Indianapolis 500 witnessed an extraordinary event between qualifying laps on May 22, 2016. 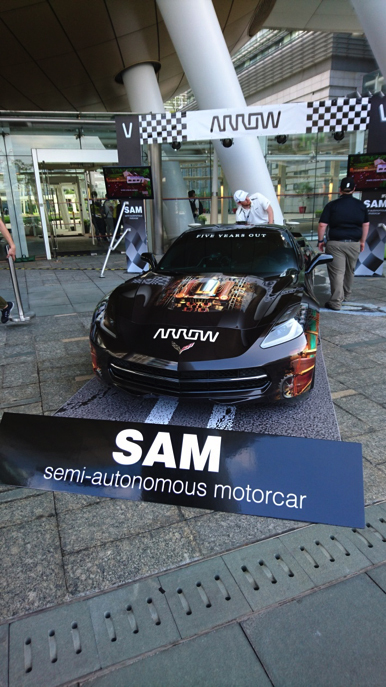 Former IndyCar driver and current team owner Sam Schmidt reached a top speed of 152 mph (245 km/h) at the Indianapolis Motor Speedway in a newly designed Semi-Autonomous Motorcar (SAM) developed by Arrow Electronics. Much to the astonishment of spectators, Schmidt drove the SAM despite being paralyzed and unable to use his arms and legs following a racing accident in 2000. The modified 2016 Corvette Z06 – the second open-source semi-autonomous car that Arrow has built – features 200-plus more horsepower than the first generation 2014 Corvette C7 Stingray, which managed a top speed of 107 mph (172.2 km/h) using a first-generation modified control system. Arrow engineers also modified the electronics on the new car, allowing Schmidt to steer, accelerate, and brake using only his head. Sensors mounted on a high-tech headset worn by Schmidt connects to infrared cameras fixed to the dashboard, detecting his head-tilt motions to steer. 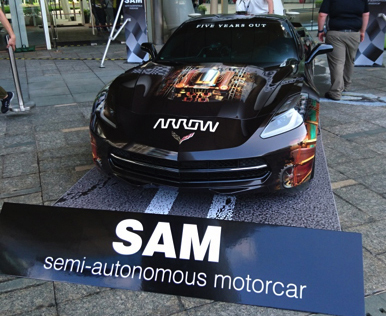 Arrow showcases the original SAM car at high-profile events around the world to help raise awareness of the power of technology to improve lives. As a global provider of products, services, and solutions to industrial and commercial users of electronic components and enterprise computing solutions, Arrow serves as a supply channel partner for more than 100,000 original equipment manufacturers, contract manufacturers, and commercial customers through a global network of more than 460 locations serving more than 85 countries. The company also exhibits its products and services, along with the first SAM car, at hundreds of events around the world every year. 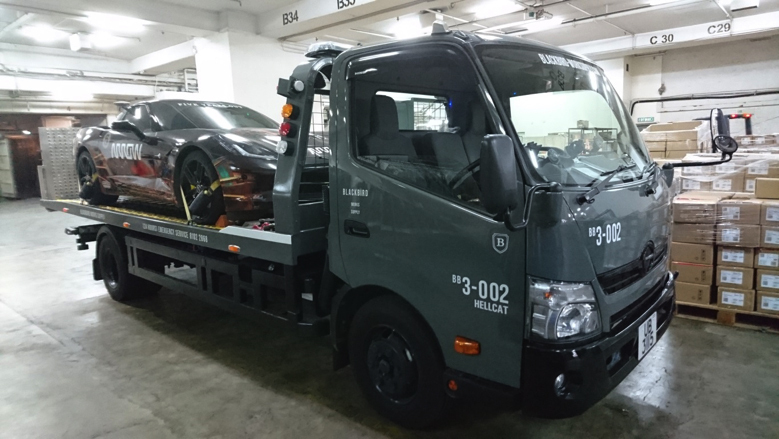 So how do you move a one of a kind, multi-million dollar modified Corvette around the globe when it is only street legal in the United States? Arrow has been using DB Schenker to manage its event logistics for many years, so the company approached them to handle the SAM deployment wherever it has to appear. 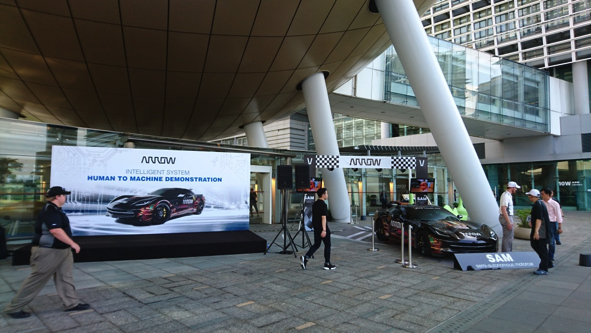 On a recent visit to Arrow’s new headquarters in Hong Kong, the car was put on display in the unfinished Science Park event center. The move went according to plan until the team realized there was nowhere to secure the vehicle overnight. 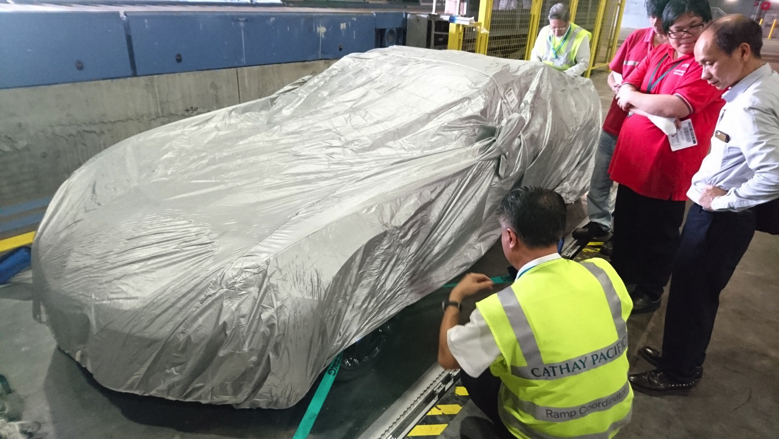 The DB Schenker team arranged a secure container on-site to store the car every night after the show. Since there were no gas stations nearby and the car was not licensed for the road, DB Schenker also provided gasoline and changed the battery as required. DB Schenker handled the “Dangerous Goods” paperwork (the car travels with a quarter tank of gas and a battery inside) and coordinated its return shipment by air to Los Angeles with several parties including Hong Kong Air Import, Science Park, Skysafe, Air Export, and Cathay Pacific CX terminal personnel for a smooth return to LA, and then by trailer to its home in Denver. The SAM Project’s objectives are not to transfer control of a vehicle to technology like an autonomous car, but rather to enable disabled drivers to enjoy the driving experience by leveraging the power of technology. All of the software and technology that Arrow has developed for the car is open to developer and engineering communities, and it has promising, broader applications for independent living. An injury should not prohibit anyone from achieving their dreams, and the Arrow and DB Schenker teams are working hard to spread the message around the world that anything is possible with the right amount of ingenuity, creativity, flexibility, and tenacity. Steven Schrenger is Corporate Account Manager, DB Schenker Inc., Aurora, Colorado. 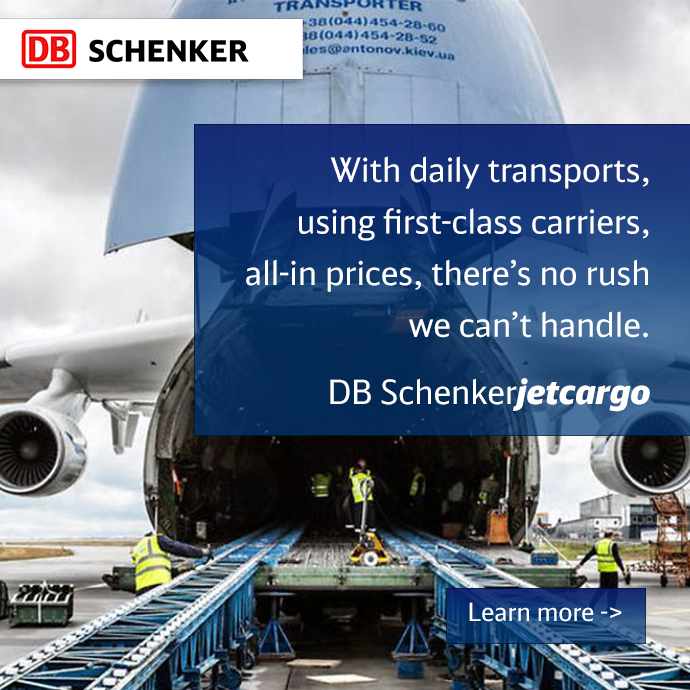 He can be reached at 720-859-6277 or steven.schrenger@dbschenker.com.